Motorcycle Riders Foundation Recognizes Legislators of the Year | Hupy and Abraham, S.C. The Motorcycle Riders Foundation has just named its two top legislators of the year. The 2017 recipients of MRF Legislator of the Year are Congressman Tim Walberg, Michigan, and Senator Ron Johnson, Wisconsin. 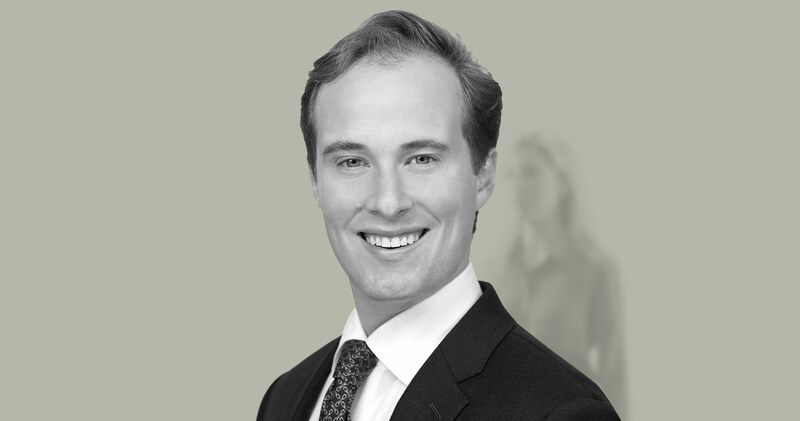 Attorney Michael Hupy's son, Rex M. Hupy, interned for Senator Johnson while attending Georgetown University Law Center. After graduation, Rex became an associate at Simpson Thacher & Bartlett, LLP, a prominent firm in New York dealing with corporate law. Here is the MRF news release announcing its picks for 2017 legislators of the year. WASHINGTON, DC – Congressman Tim Walberg (Michigan) and Senator Ron Johnson (Wisconsin) will be awarded the 2017 Motorcycle Legislator of the Year Award, it was announced this month by the Motorcycle Riders Foundation. Since the organization’s inception in 1984, the Legislator of the Year Award annually recognizes lawmakers for their commitment to advancing policies that support motorcycle riders across the nation. The announcement came after careful consideration from the Board of Directors for the Motorcycle Riders Foundation at their annual conference. Congressman Walberg, who represents Michigan’s 7th District, was one of the leading sponsors of a proposed resolution addressing the profiling of motorcyclists (H.Res.318) introduced in May. If passed, the legislation would increase public awareness on the issue, as well as encourage state law enforcement officials to include statements condemning motorcycle profiling in written policies and training materials. Congressman Walberg was also supportive in other motorcycle-related legislation, supporting the RPM Act and leading the charge in addressing concerns over the lack of motorcycle representation on the reestablished Motorcycle Advisory Council. Walberg himself is an avid motorcyclist and co-chair of the House Motorcycle Caucus. Also honored as Legislator of the Year in the Senate, is Wisconsin’s Ron Johnson. Senator Johnson was the lead Republican in sponsoring the Senate companion to the profiling resolution, working across the aisle with Senator Jeanne Shaheen from New Hampshire. He continues to support the riders in his state through working to ensure motorcyclists’ perspective on automated vehicles policies and EPA emissions issues related to racing. “We continue to be impressed with Senator Johnson’s commitment to riders in his state and across America,” said Kirk ‘Hardtail’ Willard, Chairman of the Board for the Motorcycle Riders Foundation as well as an active leader for ABATE of Wisconsin. "We can think of no better recipient of this award than Senator Johnson," he concluded. His efforts related to the anti-profiling measure help reinforce the First and Fourth Amendments as cornerstones of the Bill of Rights." With a network of more than 250,000 motorcycle riders and supporters nationwide, the Motorcycle Riders Foundation is the nation's premier motorcycle rights organization. They provide leadership at the federal level for states’ motorcyclists’ rights organizations as well as motorcycle clubs and individual riders and are dedicated to serving as a national advocate for the advancement of motorcycling and its associated lifestyle. 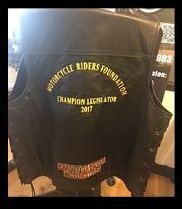 Both Senator Johnson and Representative Walberg will be presented with a personalized leather riding vest with their names inscribed at an upcoming event in May.